The new eyeshadow palette and lipsticks from the Fall collection? Dreamy. I saw them on Ree’s blog, and I cannot wait to see them in person! The eyeshadow quad in particular, claims to be wet and dry, and basically is all kinds of amazing. The lipsticks, as always, sound amazing. After seeing a photo of Sarah wearing Violet fatale, I want that too! Tom Ford makeup is so eye-wateringly expensive, but all amazing. Have you tried anything Tom Ford? MAC – two MAC lipsticks I shockingly don’t own. MAC Pure zen, because Claire made it look amazing, and Please me because it’s a matte that somehow I thought I owned but I don’t – it looks lush. 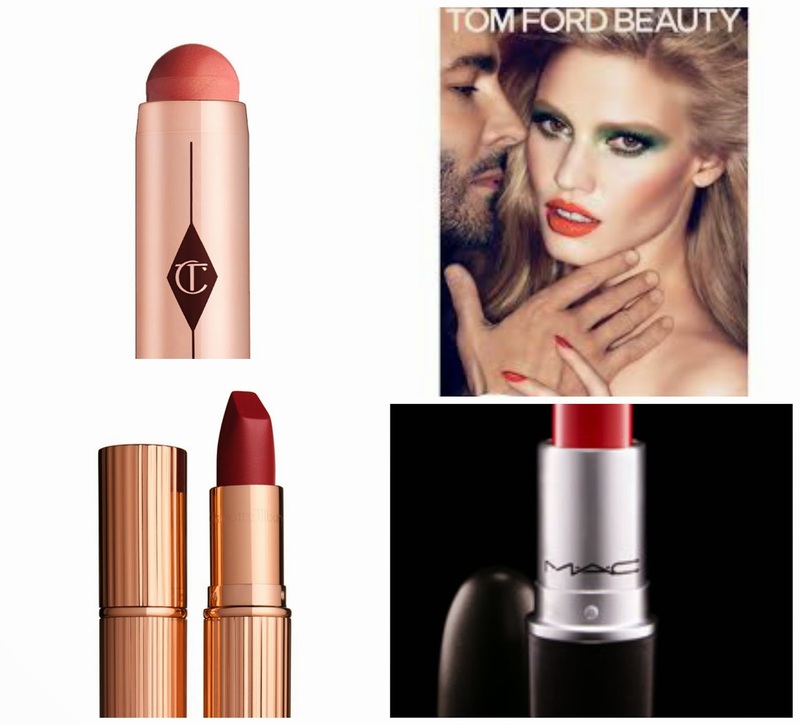 Charlotte Tilbury – at the moment, I am adding everything into my online basket on a daily basis, and dreaming about it all. In particular, the beach sticks, the foundation, the new matte lipsticks and the mascara. I want more eyeshadows from her, but I just can’t choose, so I will wait and see I think! Also an eyeliner? Everything looks amazing. Phew. What have you got your eyes on at the moment?